Classified as neither workers nor students, many graduate students have inadequate protections against sexual violence. I am in a meeting with Brown University’s Sexual Assault Advisory Board, a committee of deans and staff charged with reviewing the university’s sexual misconduct policies. Lena Sclove’s press conference detailing her assault at the hands of another undergraduate student and Brown’s failure to deliver her justice had made national headlines just two days earlier. We are there to discuss how sexual misconduct policies can be improved for graduate students. I explain, as I have countless times over the past two years, that our “professional student” status — in which we are not quite employees and not quite students — makes it especially difficult to address our experiences of sexual violence. When I look at one of the administrators, my jaw almost drops midsentence — she is asleep. Before leaving, she confidently states that some of these changes can be implemented because supporting graduate students is a university priority. I nearly burst out laughing. Recent campus activism, at Brown and across the country, has made one thing clear: it is nearly impossible to get administrations to listen to or address student concerns without turning to the media or appealing to resources outside the university. While this comes as no surprise to those who have long held concerns about the corporatization of the university, for many it has been astonishing to learn that universities are not insulated from racism and sexual violence, and that administrators are concerned with liability and the bottom line. Nowhere is this shock more acute than at universities like Brown, where an unabashed liberal identity is a major draw for undergraduates and graduates alike. Yet as a number of high-profile events over the past two years have made clear, Brown’s brand of liberalism has failed to deliver justice. And while it is not surprising that this failure extends to graduate students, it has been the topic of significantly less discussion. Brown has the dubious distinction of being on the winning side of the National Labor Relations Board ruling that denied graduate students at private institutions collective bargaining rights. Many graduate students at Brown are unaware of this fact, even if they feel that the “student” label doesn’t quite capture their relationship to graduate school. As much as private institutions may want to erase distinctions between graduate students, faculty, and administrators, this only makes existing power relations harder to navigate, disadvantaging the less powerful. This is particularly evident to graduate students who have experienced sexual harassment or assault at the hands of colleagues or faculty. Most are reluctant to address instances of harassment for fear of negatively impacting their professional opportunities. The few who have spoken out against sexual misconduct have done so anonymously, even in cases where action was taken to stop the abuse. Yet this very fear is completely at odds with the way administrators understand graduate students’ status and responsibilities. If labs, seminars, and departments are not workplace environments, and if graduate students are motivated not by career aspirations but by a love of knowledge, then their concerns about professional ramifications are legible to no one but themselves. At Brown, this status results in concerning realities when it comes to sexual misconduct. In addition to graduate students receiving no training or resources upon enrolling or before becoming teachers, there is no mechanism for dealing with instances of harassment or assault within departments. The majority of chairs and directors of graduate study are not even aware of what university resources exist and how they apply to graduate students. At the university level, there is no deputy Title IX coordinator assigned to the graduate school, making it less likely that graduate students will know the rights afforded to them. Instead, graduate students have two options when reporting incidents of sexual misconduct. If their case involves another student, they can go through judicial affairs within the office of student life — a resource that, while largely designed to serve undergraduates, has been criticized by the multiple undergraduates it has failed. If a case involves a faculty member or postdoctoral scholar, which is much more likely for graduate students than for undergraduates, students have to go through the deputy Title IX coordinator, who reports to the provost. The victim advocacy supports available to students working through judicial affairs are also absent. As a result, graduate students receive none of the benefits required by Title IX, such as having an advocate present throughout the case. They also do not receive a panel hearing (a change made to the judicial affairs process as result of past student activism to ensure, if nothing else, greater transparency during the adjudication process). Instead, their fate is effectively in the hands of the provost. Brown is not alone in this respect. Most private universities do not have a separate complaint process for graduate students even if there is a Title IX officer dedicated to handling their cases, and most leave the ultimate decision-making power to a single administrator when cases involve a complaint against a faculty member. 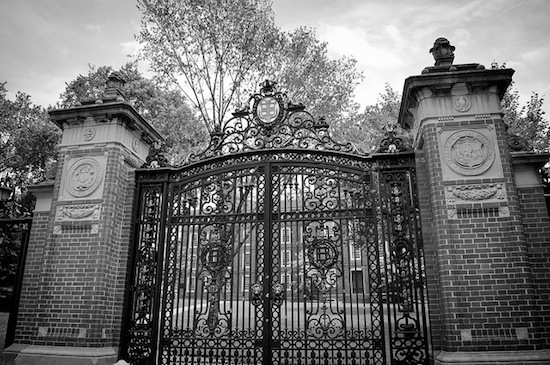 For example, while both Harvard and Yale have Title IX coordinators specific to their graduate schools, cases involving faculty are ultimately decided by the dean of the faculty or provost (in the case of Yale, this is true even after a university committee recommends a finding and penalty). And although MIT boasts an impressive fifteen Title IX coordinators, in cases involving faculty, the decision-making power ultimately lies with the dean of the faculty member’s home school. At Stanford, the seemingly progressive move to assign the Title IX coordinator partial decision-making power in faculty cases is actually a violation of Title IX regulations, which consider this dual role a conflict of interest. The fact that the coordinator and the dean of the faculty member’s home school can designate other faculty members and administrators to issue decisions may be a way to avoid this conflict, but it also increases the risk that the system will be abused. It’s not difficult to see how the ostensibly hierarchy-free world of academia plays out once real-world concerns of liability enter the equation. Graduate students with no institutional rights and limited financial resources are no match for universities fixated on preserving their image and keeping faculty from using their power to make waves. And even as public and private universities scramble to comply with Title IX regulations, stricter enforcement of these student protections will do little to alleviate the challenges facing graduate students — particularly in cases involving harassment and assault from faculty. Graduate students not only risk their educational opportunities when they take steps to hold advisers and colleagues accountable for sexual violence. No longer able to conduct research in the lab, or obtain letters of recommendation from the leaders in their field, or secure access to faculty research money, they risk losing their current and future livelihoods. No amount of Title IX coordinators or university-wide committees on sexual misconduct can correct for the power imbalance that defines this professional relationship, an asymmetry that is only compounded when universities refuse to acknowledge graduate students’ work lives and goals. Combine this with administrative decisions around sexual misconduct cases that are guided by fears of liability, and it becomes easy to see how we fall through the cracks. At least at Brown, graduate students would have a better chance of being protected if we were considered staff, because they have human resources’ equal employment opportunity officer at their disposal. As it stands, our “professional student” status does nothing but make us more vulnerable. In my meetings with Brown administrators over the past two years, my suggestions have been embarrassingly simple. Graduate students should undergo training related to sexual misconduct during orientation and teaching preparation certificate programs. The university’s sexual assault counselor should speak at orientation so that new students know her office exists. Directors of graduate study and chairs of departments should be briefed on university protocols for reporting and available resources so they have accurate information with which to assist students. A pamphlet specific to graduate students and sexual misconduct should be developed and widely distributed. The reporting process that goes through the provost’s office should be reformed. With few exceptions, I have been bounced from administrator to administrator and told that my recommendations could either not be implemented or were not the responsibility of that particular office. When I went ahead and drafted the pamphlet myself — and managed to get copies printed with the help of the office of institutional diversity — somehow they were still never delivered to the person in charge of putting the orientation packets together. Only after receiving the support of the graduate student council did the graduate school finally agree to have the pamphlets included in the orientation packets and give the counselor a spot at orientation (starting this August). Even a step as seemingly simple as effective training — much less reforming existing reporting processes — has not become an administration priority. The swell of campus activism around sexual violence has forced many to question the priorities of university administrators. If graduate students are to benefit from this moment of reflection, we must also question our “professional student” status. Before the pamphlet I wrote received administration approval, the graduate school removed the word “work” from the new version. When I tried to pick up the remaining original pamphlets to pass out while the new version was being printed, I was told they had been misplaced, only to find out later that they had been destroyed. In other words, approached with the pressing issue of sexual violence couched in the neutral request of “more support please,” the administration was almost solely concerned with ensuring our status as “professional students” remained intact. As a result of Sclove’s press conference, Brown will most likely hire a university-wide Title IX coordinator before the summer’s end. While I am hopeful that this will be the start of more robust protections for undergraduates, I do not think graduate students will reap the benefits of this potentially positive change. This is true not only for the bread-and-butter issues often associated with struggles for graduate student union recognition, but also for issues like sexual harassment and assault. Sexual violence threatens both our emotional stability and bodily integrity, as well as our right to safe and just working conditions. Private institutions should enact policies that protect graduate students from such egregious abuses of power. Sadly, Brown will most likely work diligently to keep both our labor and instances of workplace harassment and assault invisible. The administration’s immense resistance shows they understand just how closely inadequate protections against sexual violence are tied to our “professional student” status. It is up to students across the country, drawing strength from our collective power, to respond in kind in the fight for formal protections as workers.